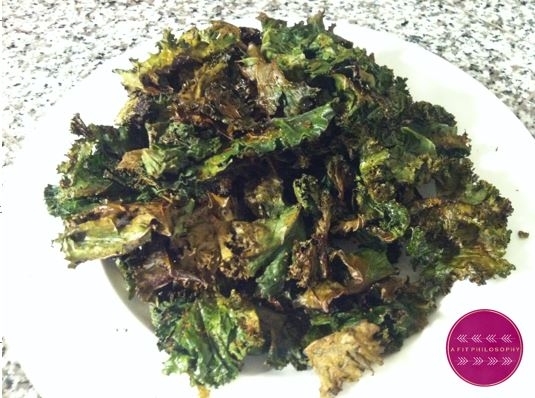 Crunchy, crispy, spicy kale chips! An easy go-to snack that are super EASY, HEALTHY, and DELISH!! Take stalk of kale and trim all the way around the stock with a pair of kitchen shears. Lay on a baking pan. Pop in oven for approximately 10 minutes. Take kale out of oven, flip over with a flipper. Pop in oven for approximately 5-10 minutes or until crispy. (Be CAREFUL! Kale burns very easily. There is a fine line between crispy and burned).